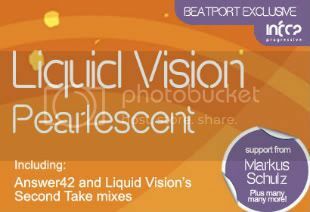 Liquid Vision - Pearlescent [InfraProgressive] | OUT NOW! 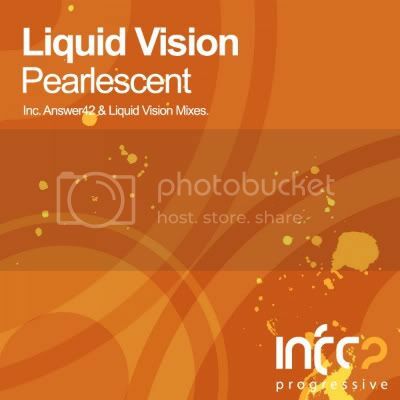 Thread: Liquid Vision - Pearlescent [InfraProgressive] | OUT NOW! New comer Liquid Vision debuts on our progressive imprint with the massive, tech laden original Pearlescent. Made with a dancefloor firmly in mind, the original mix is packed full of energy, with its carefully crafted percussion, lovely atmospherics and big, sawing lead all coming together to devastating effect! Arguably one of the darkest tracks to have been released on our InfraProgressive label, this is a big room shaker and a fine debut from a producer set for big things. Anjunadeep trio Answer42 supply remix number one. Taking the package down a more house orientated route, they supply one of the freshest remixes we have heard in some time with a fun and chunky re-work that works a treat on a dancefloor. Trust us! Liquid Vision completes the package with his Second Take Mix. Wow, Answer42 Remix is nice!